George Lundberg is the latest to share his perspectives from within the media industry. George shares with us his most memorable media moment (it’s a good one!). He also takes a guess at predicting the future of the pharmaceutical industry as we move away from blockbuster drugs and into an era of personalised medicine. Our latest media perspectives interview is with George Lundberg, who has worked in medical journalism for 30 years. George’s career has been one that has constantly evolved – from writing standard medical journals during his 17 years as the Editor of the Journal of the American Medical Association (JAMA), to the introduction of television and newspaper journalism and then the internet. George’s current role is with MedPage Today, where he writes a column aimed at physicians on any public health issues, policy issues, clinical medicine or medical economic stories at the time. We speak with George about his current projects, the different attitudes towards healthcare across the globe and his thoughts on the future. HB: Hello George, I hope you are well. So what has been the most memorable healthcare news you’ve ever reported on? GL: That’s a really good question. I’d have to say that the most memorable were the interviews we published in the Journal of the American Medical Association in the early 1990s, with the pathologists who performed the autopsy on President John Fitzgerald Kennedy after he had been assassinated. These pathologists had, for 25 years, refused to talk to the media about their experience in the autopsy of the president. I worked on them, as they were friends of mine, for years to get them to go public with the inside story about what happened that day when the president was killed from the viewpoint of the pathologist. When we got that story, we wrote it up in a series of medical news articles in the Journal of the American Medical Association and had a news conference in New York concurrent with the first one. This received a great deal of worldwide attention, because there had been all sorts of conspiracy theories, paranoia and wild ideas about how the president was killed. The true story from the people who actually did the autopsy, was that it was two bullets from the rear, one gunman, one gun, and that remained the story all the way from the Warren Commission originally to what we reported on that many decades later. HB: You are also the Editor in Chief of CollabRx which has the slogan, ‘raising the standards in cancer treatment’. How important is the media’s input in healthcare when it comes to projects like this? GL: The media is hugely important, especially now with an educated populous and with the availability of the internet. We believe that patients should take charge of their health, after all it is their health, and when it comes to cancer a lot of cancers now can be prevented, diagnosed, and treated very successfully. But then again there are some that can’t, and when you get far down the cancer route it becomes now important for individual cancers to be tested for their genomic make-up. We’re able now to understand the molecular biology of many of the worst cancers and devise diagnostic tests of the cancer itself that can then match the cancer with the best clinical trials, and preferably the best emerging treatments. There are hundreds of drugs now in development in the pharmaceutical and the biotech industries that are intended to be aimed at specific cancers in the era of personalised healthcare. In order for patients to understand, they have to learn about it, and doctors have to learn about it, and there’s hardly any other way that this could be done without media involvement, whether the media is directed at healthcare professionals or at the general public. And with the internet we have democratisation of medical information, so people can choose the level of sophistication that they feel comfortable with and go there themselves. HB: Your book, “Severed Trust Why American Medicine Hasn’t Been fixed and What Can We Do About It”, was published in 2001 What was your inspiration behind the book, and can you tell us about some of the main points you raised? GL: Well I left my job at the American Medical Association in 1999, and having been privileged to occupy that editor in chief role for 17 years, I was in a position of seeing behind the scenes side of the story in pretty much everything that happened in the world of medicine in that time, so I felt it was important to try to share my perspective from all of that experience. Since then, of course, an awful lot has happened in American medicine, and while some of it’s been good, a lot of it hasn’t been, but those points we made were valid at that point. HB: Have your views changed in the past decade then? GL: My micro views change every day, because science evolves constantly and sometimes dramatically, but my macro views have changed not at all. I believe we should take the best science that’s available and make it clinically relevant when feasible, and then apply it to the daily lives of patients when they do or do not relate to their physician. My micro views are changing enormously as we’re now into the area of personalised healthcare to a much greater extent than we ever were, because we know so much more about individual diseases that require personalisation. While on the macro view, everybody has a right, not a privilege, but a right to reasonable basic healthcare, and that applies in all developed countries for sure, because the resources are there to make that happen. It applies in theory in developing countries as well, but resources are not there for all sorts of political and economic reasons. HB: In 2009, you launched the Lundberg Institute. What is the main aim of this non-profit organisation? GL: The Lundberg Institute is intended to promote shared decision-making, with doctor and patient being informed together by the best evidence available, considering how much something will cost and decide with informed consent what should be done. Obviously if a patient is an extremis, in critical condition, or under anaesthesia, for example, then the doctor simply has to proceed on his or her best judgement. But when the patient is alert, alive and capable of interaction and understanding, there should be discussion between the doctor and the patient, and the decision should be made by the two of them together utilising the best available information, and considering cost. That’s what brings us to the moderator of cost-effective medical care, not only medical care regardless of cost. That’s its purpose, it’s a not-for-profit organisation with a wonderful board, both of directors and an advisory board, that attempts to educate. HB: Throughout your career I understand you have worked in many different places such as the USA, Sweden and England. 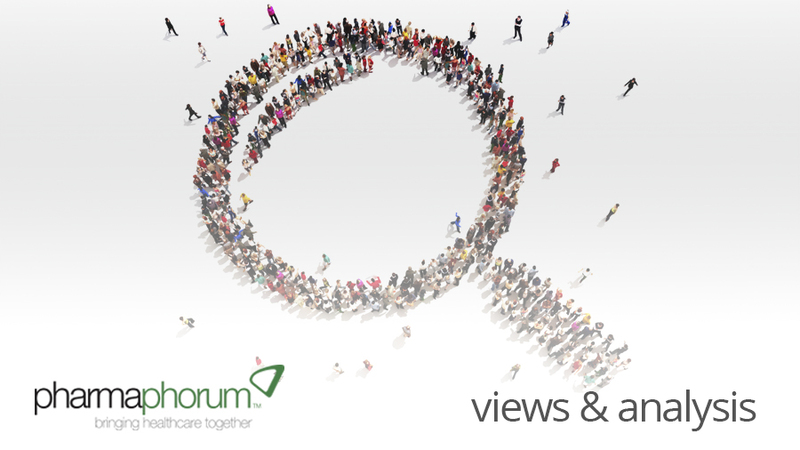 In your opinion, how do people’s views towards the healthcare change globally? The notion that I have espoused earlier in this interview, that basic healthcare is your right, is not held by large numbers of people in the United States, but it is held by a majority in many of the countries in Northern Europe, and obviously the UK. The science is the same everywhere, and the human body is basically the same everywhere, but the way in which resources are utilised to care for people to prevent disease and to manage illness and cure it when possible, is very different country to country. HB: Finally, what do you think the pharmaceutical and healthcare landscape will look like in the future? GL: Predictions are very difficult to make, especially when it’s about the future, as a famous American baseball player named Yogi Berra once said, but nonetheless I’ll hazard an answer to the question. I think the best answer is complicated, but we strive to make things simpler as we learn more about a disease and potential interventions, we learn that it gets more and more complicated. In the last decade, we have moved into much more an era of personalised healthcare and personalised medicine, and I believe that’s going to develop to an even greater extent. On a pharmaceutical level, the greatest opportunities for the pharmaceutical industry to excel are still ahead of us. But the old days of coming up with a particular drug that then is applicable to massive numbers of people, the blockbuster drug type era, may be gone – it’s certainly clear that it isn’t as commonly possible as it was 10/20/30 years ago. Obviously if one could develop a given drug and market it massively worldwide and it takes care of the same disease in millions of people without any new R&amp,D having to be done, except for post-marketing surveillance, now that’s the best world for an industry. The potential, however, to spend giant amounts of money without getting much benefit from it is also there, and that will bankrupt any country if it doesn’t get a handle on how to control the costs of these really expensive diagnosis and treatments. That’s what the future is going to look like, and that’s going to be hard, but it’s going to be necessary. HB: Thank you for sharing your views George, it’s been extremely interesting. GL: My pleasure, I appreciate the opportunity. A 1995 “pioneer” of the medical internet, Dr. George Lundberg was born in Florida, grew up in lower Alabama and holds earned and honorary degrees from North Park College, Baylor University, the University of Alabama (Birmingham and Tuscaloosa), the State University of New York, Syracuse, Thomas Jefferson University and the Medical College of Ohio. He served 11 years in the US Army during the Vietnam War Era. Dr. Lundberg was Professor of Pathology and ran the labs at the Los Angeles County/USC Medical Center for 10 years, and was Professor and Chair of Pathology at UC Davis for 5 years. Dr. Lundberg has worked in tropical medicine and forensic medicine in multiple countries. He is past President of the American Society for Clinical Pathology. From 1982 to 1999, Dr. Lundberg was Editor in Chief at the AMA, with editorial responsibility for its 39 medical journals, American Medical News, and various television and internet products, and the Editor of JAMA. In 1999, Dr. Lundberg became Editor in Chief of Medscape, and the founding Editor in Chief of both Medscape General Medicine and CBS HealthWatch.com. He served as the Editor in Chief of The Medscape Journal of Medicine, the original open access general medical journal, and beginning in 2006, Editor in Chief of eMedicine from WebMD, the original open access comprehensive medical textbook until 2009. A frequent lecturer and webcasting guest and host, and a member of the Institute of Medicine, Dr. Lundberg was an Adjunct Professor at Harvard from 1993 to 2008. Dr Lundberg is now Editor in Chief, CollabRx in San Francisco, Editor at Large, MedPage Today in New York, Chair of the Everyday Health Advisory Board, a Consulting Professor at Stanford and is President and Board Chair of The Lundberg Institute in Los Gatos, CA. In 2000, the Industry Standard dubbed Dr. Lundberg “Online Health Care’s Medicine Man”. What’s been your most memorable moment in your career?